Hot 97’s Ebro Darden wasn’t feeling a new song released by Lil Yachty that he felt took a few shots at him and the station . After teaming up on the Scott Scott-produced “All Eyez,” The Game and Jeremih reunite on “Let Me Know.” Over a sample of Aaliyah’s “We Need a Resolution,” Game takes on the shootings of black men and Dallas officers, the Orlando nightclub massacre, Nice terrorist attack, and more. He continues, “Summer sixteen look like more than the Drake song / And that’s just this year / Ya’ll forgot about Trayvon?” and takes Hillary Clinton and Donald Trump to task (“Trump and Hillary both cons / Backstabbers like the bullets in the back of Laquan [McDonald]”). Game has become an outspoken activist in the wake of recent tragedies. He and Snoop Dogg met with L.A. Mayor Eric Garcetti and Police Chief Charlie Beck, while his 13-year-old son Harlem started a GoFundMe page for Arkansas police officer Tommy Norman, which has raised over $70,000. Listen to Game and Jeremih shine a light on recent events. Former Baltimore Ravens running back Ray Rice has been out of the league close to two years, but still has hope for getting picked up by a team in the NFL. In February 2014, Ray Rice and his fiancee Janay got into an altercation in an Atlantic City casino elevator that was caught on tape. In the altercation, The NFL player punched his fiancee in the face, knocking her out cold. After the elevator doors open, Rice dragged his fiancee off the elevator. There is no word on if Rice will get another shot in the NFL, but he is continuing to visit colleges and spread awareness about domestic violence. Ty Dolla $ign is using his voice to speak out against injustice on his new single “No Justice” featuring his brother Big TC. In order to further spread his message, Ty has partnered with TIDAL on the #SchoolsNotPrisons tour, which calls for an end to massive spending on incarceration. It will be accompanied by a documentary directed by renowned filmmaker QDIII. Last week, Ty debuted a three-part video for “No Justice” on Instagram. The song follows the Future-assisted title track off his upcoming project Campaign, which is expected to include collaborations with Wiz Khalifa, Trey Songz, Travis Scott, Migos, and Meek Mill. 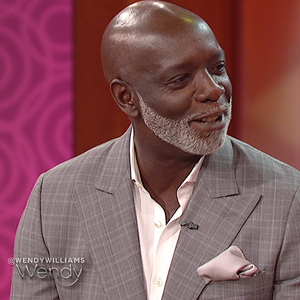 “Real Housewives of Atlanta” star Peter Thomas speaks exclusively to Wendy about his divorce from Cynthia Bailey. How did he find out about the divorce? Did he steal money from Cynthia? Who is his least favorite “Housewife”? Peter Thomas says it like he means it. Summer is the perfect time of year to make a fashion statement without breaking the bank. Gilt.com’s Chassie Post shows us the best Summer essentials for under $100. Visit Ebay.com to bid on exclusive fashion items worn on TV by Wendy. Some of the brands include Diane Von Furstenberg, Narciso Rodriguez, Vera Wang and many more. Each item comes with a letter of authenticity hand signed by Wendy. A portion of the proceeds from these auctions benefit Dress for Success®. 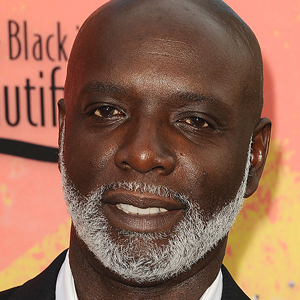 Peter Thomas: You can watch “The Real Housewives of Atlanta” Sundays at 8/7c on Bravo. Chassie Post: Visit Gilt.com for the latest on summer essentials under $100 and click here for more information about the items featured on today’s show.